Sioux City has filed a lawsuit against the Iowa Department of Transportation over the order to shut down traffic cameras on the interstate. 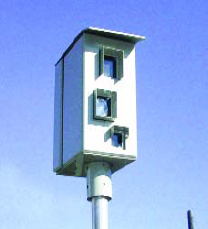 The lawsuit is in addition to an appeal the city made of the D-O-T order to turn off speed and red light cameras. Mayor Bob Scott says they city is seeking an injunction to block DOT rules governing traffic cameras. A hearing on the issue is set for Tuesday in Woodbury County District Court.